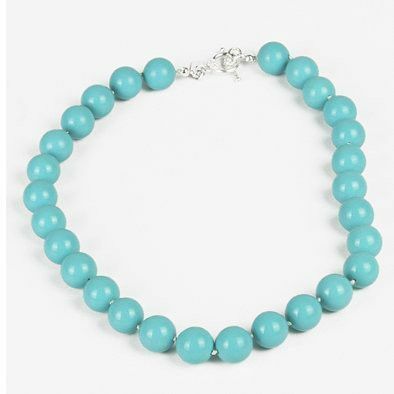 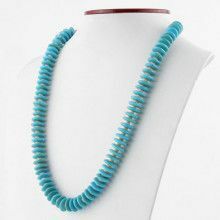 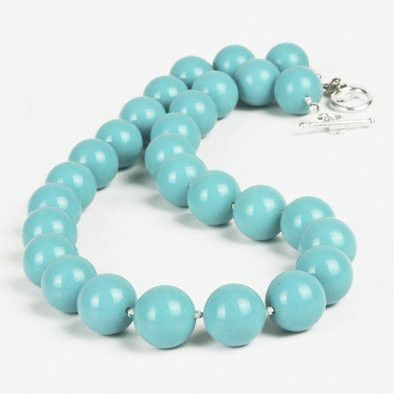 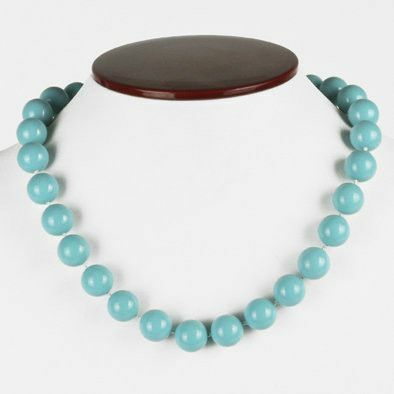 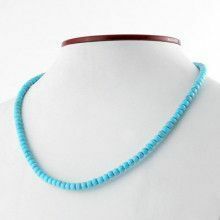 This absolutely stunning turquoise necklace features beads which measure Approximately 1/2" (13mm) in diameter each. 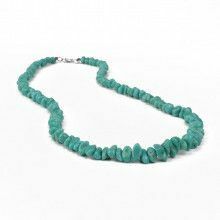 The necklace measures 19" long, and features a sterling silver toggle clasp. 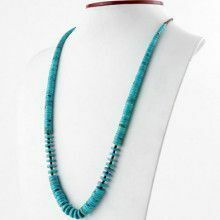 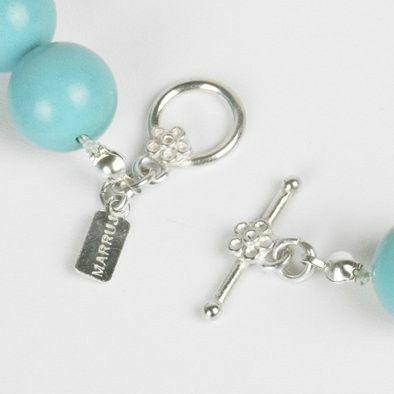 Turquoise beads are always a fashionable choice. 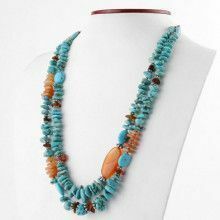 They would compliment a more natural outfit beautifully, or they would add a beautiful contrast to a more sophisticated look.